The Garland School of Social Work is able to offer limited aid to PhD candidates based on need. Aid from the School of Social Work is in the form of tuition remission which is a direct offset of tuition costs. 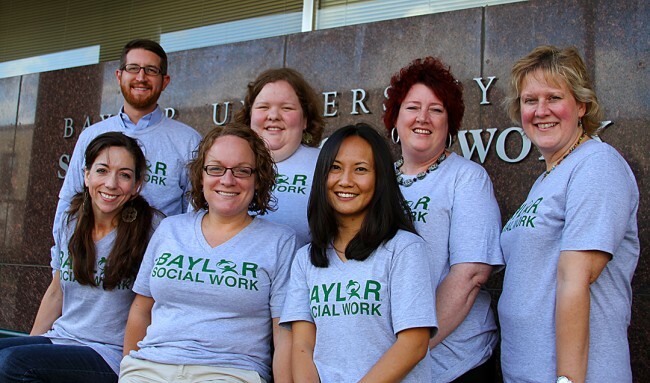 In addition, social work faculty members have many funded research projects. Our goal for each new grant is to include funding for stipends and additional aid for PhD candidates. Instructions for requesting financial aid from the School of Social Work are included in the online Graduate School application and online Graduate School catalog. Please contact Dr. Rob Rogers with any questions you have about our financial aid options. If you are interested in loan-based aid, contact the Baylor University Student Financial Aid Office.